The first, and only book of it’s kind. 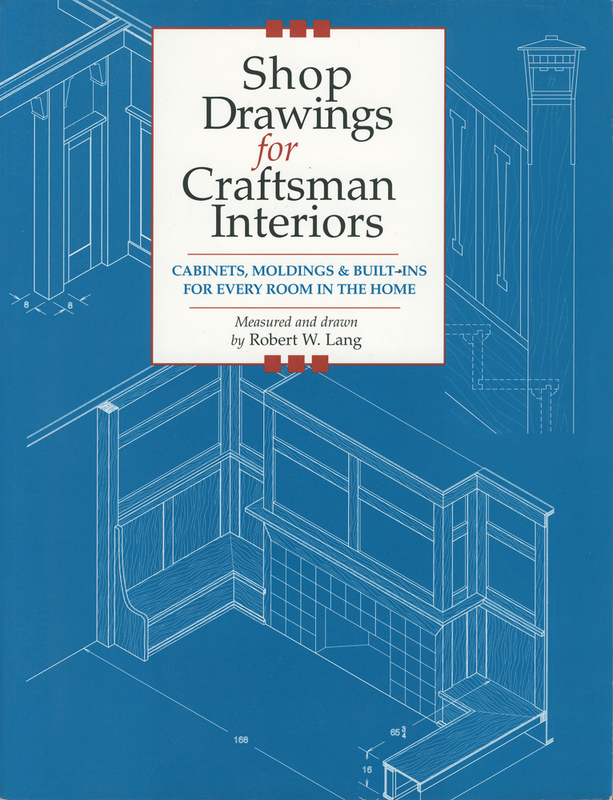 Based on Gustav Stickley’s original architectural drawings and information from The Craftsman magazine, this book contains detailed drawings for recreating or renovating interiors in the Craftsman style, as well as text on reproducing these designs with modern materials and techniques. In the early 20th century thousands of homes were built in this style. These houses can be found throughout the country from the bungalow neighborhoods of Pasadena and Denver to areas in the East. Almost every town in America has examples of these charming, comfortable and incredibly functional homes. If you are designing a new home in the Craftsman style, restoring a period home, or returning a remodeled home to its original appearance, this is the reference you need to construct authentic doors, moldings, cabinets and built-ins. The chapter on kitchen cabinets contains details for building cabinets to current standard sizes with period appearance. You can purchase a signed copy directly from the author. Your purchase through this website directly supports the author of this book. He and his family thank you.